Prepare your home for extreme weather with any of these classic options. 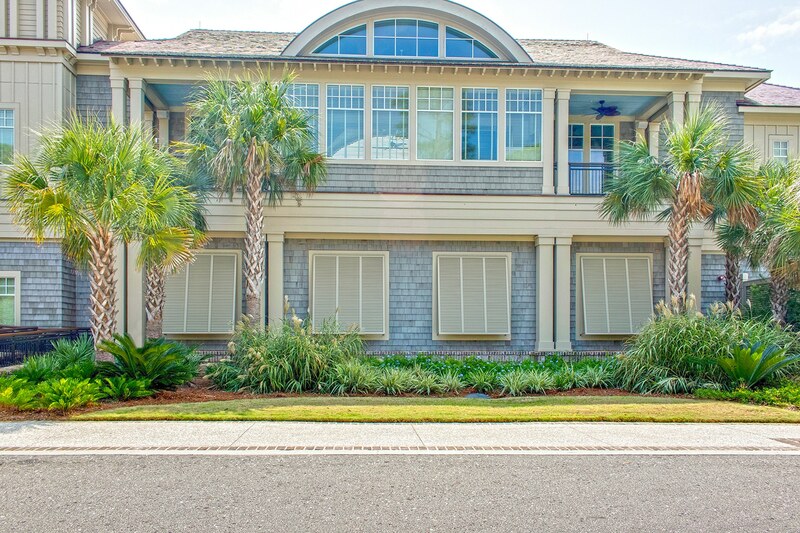 Having hurricane shutters can be the deciding factor of how your house withstands a storm, and are detrimental to have during hurricane season when you live near the coast. They are specially built to withstand tremendous rain, high-velocity winds, and debris. The downside of living in the Lowcountry is that sometimes our climate can give way to raging storms and hurricane winds. It’s under these conditions that we design, test, and manufacture our hurricane protection. Here are our picks for high-quality storm shutters that will keep you and your family safe in the most tremendous of storms. 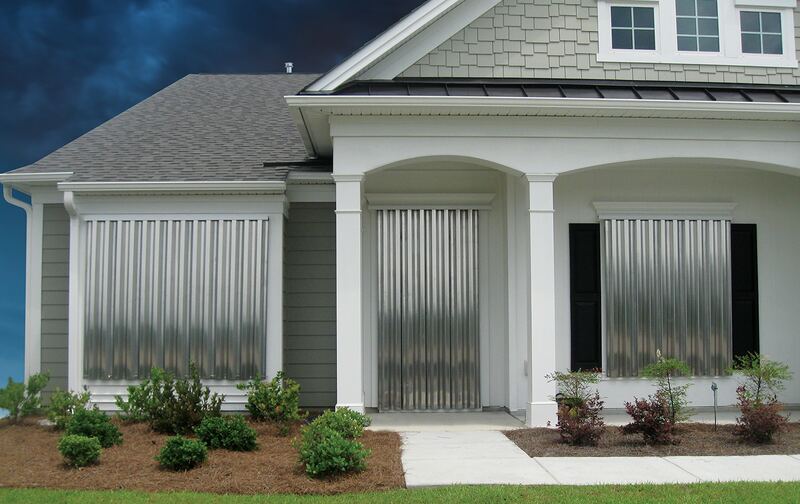 Whether you have a lot or only a little bit of time to prepare for a storm, accordion shutters are a great option for quick coverage that will defend from powerful hurricane winds. 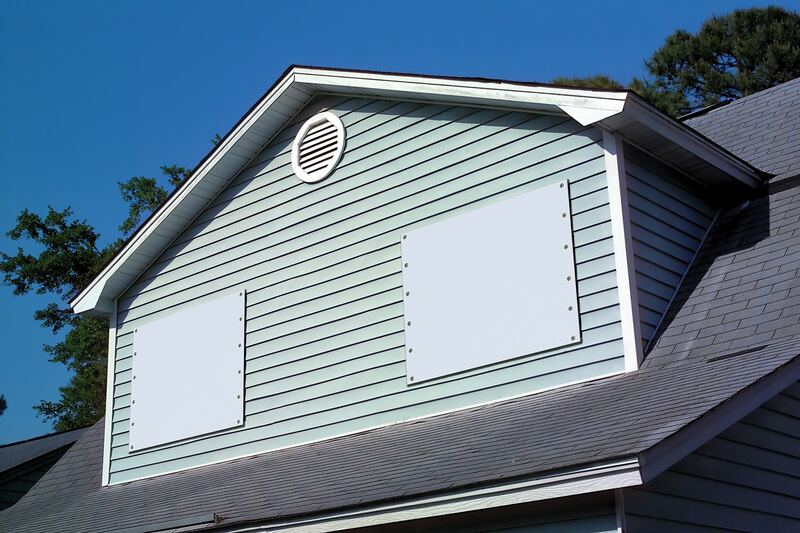 These storm shutters are not only perfect for windows and doors, but also for securing patio balconies, terraces, and storefronts from intruders. They offer durable lifetime protection and are proven to automatically increase the market value of your home or business. “Roll-up” storm shutters provide the ultimate amount of security and protection from a storm for your home or business. These hurricane shutters attach above the window, roll up and are stored in a discrete enclosed box when they’re not being used. 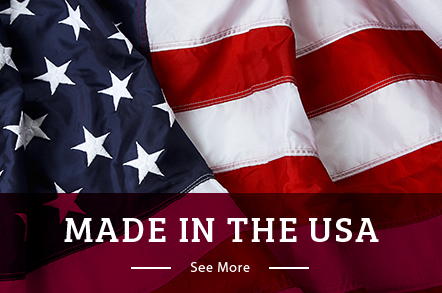 They can be lowered with a hand crank or with a button-push, and lock in place for the ultimate storm protection. They also provide you with an extra layer of defense against crime and will reduce your energy costs throughout the year. Rolling storm shutters are specially designed to provide maximum strength from the elements and insulation from sun, storm, heat, noise and extreme weather. Storm panels can be much easier to handle than heavy plywood sheets and can be easily stored away when they’re not being used. These are also a much more durable and long-lasting solution than buying plywood with each and every storm that is a threat to your area. Storm panels come in corrugated aluminum, steel, or polycarbonate plastic. The aluminum and steel options are extremely strong with each individual panel overlapping one another for added strength and protection and can be installed on permanently mounted tracks or bolted in place. The plastic storm panels come in clear, translucent, and opaque styles. Unlike plywood or metal, they allow light and outward visibility if you’re inside during the storm. Hurricane fabric storm panels are made from synthetic, PVC-coated fabric, or Kevlar, and are an effective alternative to rigid materials. They are lightweight and easy to set up, the panels are high in durability and ease, and are a much easier option than using plywood for most homeowners. These woven textiles may not seem capable to withstand severe weather, but they can offer serious storm protection and keep turbulent weather out while also allowing light and air to get through. When the skies grow dark, imminent storms are fast approaching, and you only have a little time to prepare your home for a storm – fabric storm panels are a quick, easy, and cost-effective option for protecting your home while also letting natural light in. 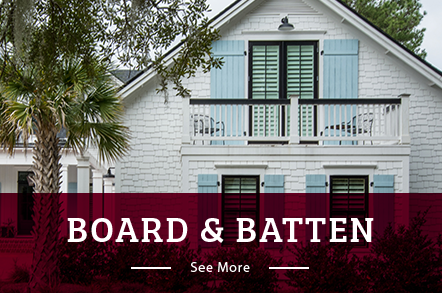 Colonial shutters combine classic style with dependable protection and are a great addition to your Lowcountry home. These durable storm shutters have the look of a traditional shutter design, but also offer modern-day secure technology. These shutters are hinged at the sides and can be opened to expose the windows when it’s a beautiful day out. They can be closed and secured in mere moments, and are the simplest to arrange in preparation for a storm. Crafted from heavy aluminum alloy and fasted together with stainless steel hardware make these extremely reliable and weatherproof. 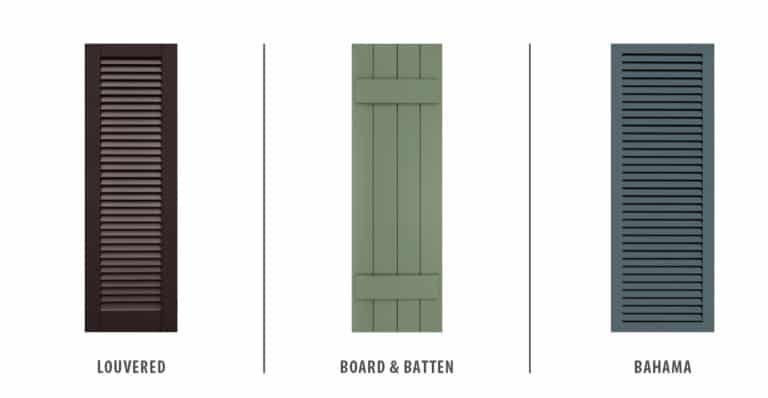 Once installed, these shutters become a permanent and durable part of any house or building, providing you with protection for years to come. They are simple to maintain, easy to close, and stylish to boot. 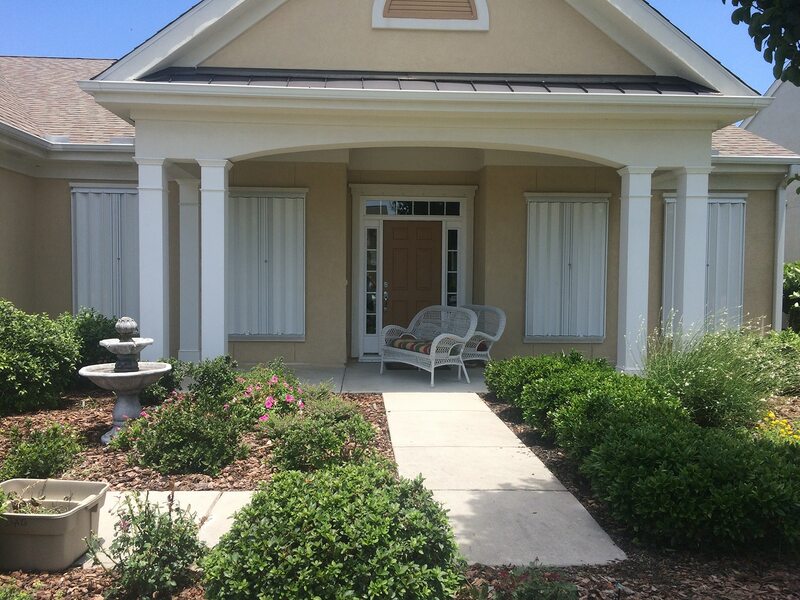 Bahama storm shutters offer year-round shade protection as well as excellent storm protection during hurricane season. These shutters are mounted above each window and open at a 45-degree angle, allowing for privacy and natural light simultaneously. These are a Lowcountry favorite – known for instantly adding charm, value, and timelessness to any residence or local business. They’re made of heavy aluminum alloy and stainless-steel hardware, giving you peace of mind that they are built to withstand even the most severe weather conditions. This option will also offer ample airflow and shade when open but can lock and close in just a few seconds. 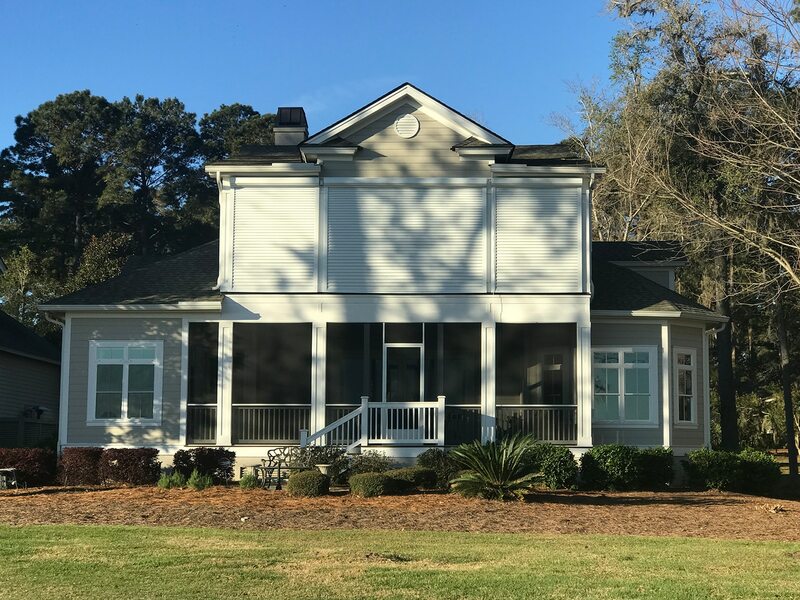 Any of these options will be a smart, efficient addition to your Lowcountry home. Keep your home or business (and your family!) 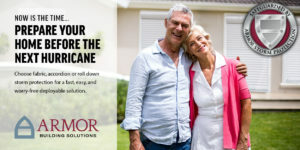 safe for years to come, and don’t waste time worrying every year when hurricane season rolls around. Call us or fill out the form below for more information, or for your free consultation.